This Kreature has an arsenal of psychic abilities at its disposal: it can levitate objects, create barriers, and sense the presence of other living beings from hundreds of miles away. It is able to process this enormous psionic output thanks to the 15 brains it has linked together down the length of its body. Despite this, it is only intelligent in comparison to other Kreatures, as its primary brain, located in its skull, is the only brain devoted to thought processing and memory storage. 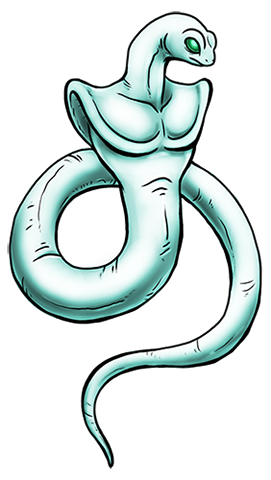 It prefers to avoid engaging its opponents up close because Its hide is soft and thin, offering little in the way of protection, and if any of its brains are ruptured it can't use its psychic powers.